It’s not always about the ladies. National Underwear day is August 5th and it had us thinking that it’s time to show our male customers some love with custom underwear for men. Customized Girl has a great selection of intimates available for you to customize and we proudly offer different options for women AND men. So ladies, customize some underwear for your man this National Underwear day this year or better yet, fellas make them yourselves. The classic, best-selling custom boxer briefs from Hanes. It’s soft, stretchable Comfort Flex waistband doesn’t pinch or bind and the ultra-soft cotton knit is pre-shrunk for a lasting fit. Unisex boxer shorts from Boxercraft is leader in spirit and lounge wear. Made with 100% cotton sheeting and covered elastic waistband. These custom boxers will be a hit with any fella! 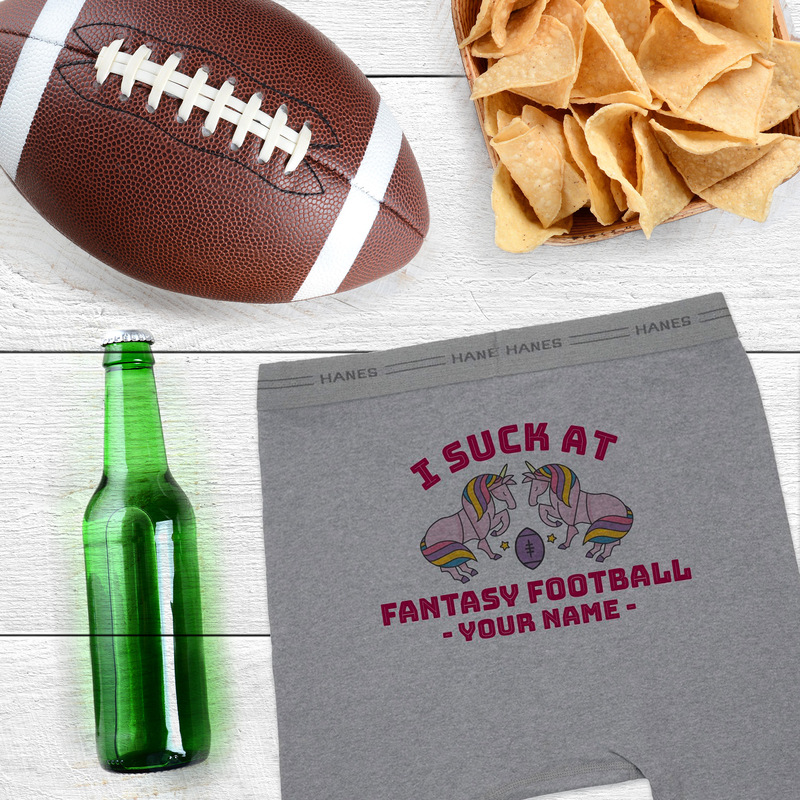 Some might ask, what would you need custom underwear for? We can easily respond back – Everything. Special events like birthdays or anniversary’s are perfect examples where custom underwear can spice things up. Better yet, customize underwear as gag gift for a buddy because laughter in the best gift of all. Another classic example is customizing matching groomsmen underwear for your big day. Now that’s a memory you won’t forget. 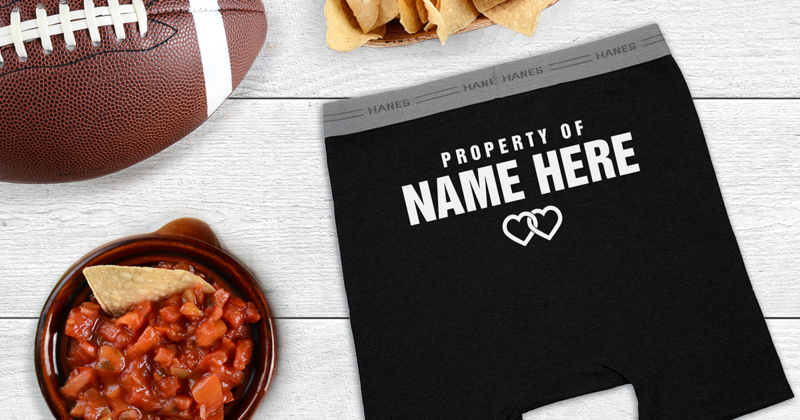 Some of Customized Girl’s most popular underwear designs for men include “property of,” “hers,” and “was here.” The best part about our custom underwear is you can choose from one of our templates or start with a blank item. Make an idea or concept come to life. Our design center is loaded with custom art, fonts, and printing options that you will not find anywhere else. Customization allows each and every user to create a one-of-a-kind design. Need help? Here’s step by step instructions to guide you through our design center or contact our awesome customer service team. They would be more than happy to assist with the entire process from designing to ordering.